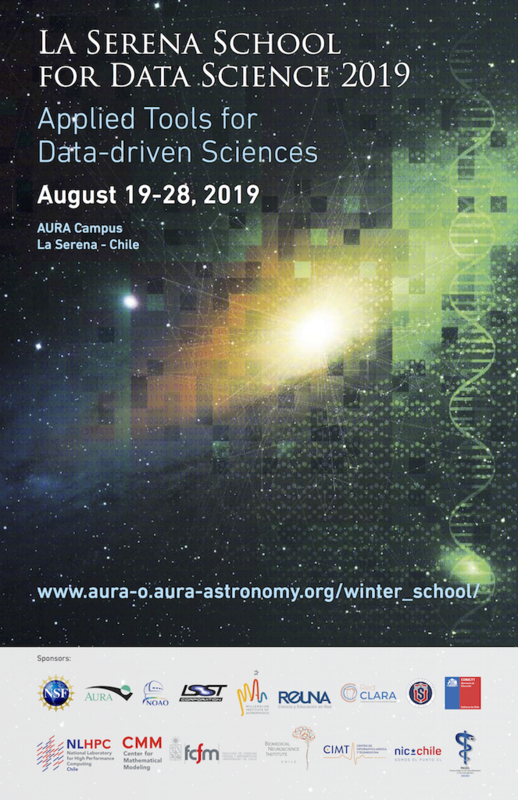 We are happy to announce that applications for the 2019 “La Serena School for Data Science: Applied Tools for Data-driven Sciences” are now open. The school is a great opportunity for students to learn statistical and computational tools for working in the “Big Data” paradigm. The school will take place in the AURA campus in La Serena, Chile, (August 19–28) and is aimed to advanced undergraduate and early graduate students in Astronomy, Physics, Statistics, Math, Computer Science, Biology and related fields. Students currently in Chilean (and US) institutions are eligible for full or partial scholarships.